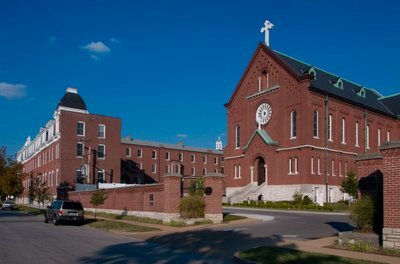 Here are photos of the Motherhouse of the Sisters of Saint Joseph of Carondelet, in the Carondelet neighborhood of Saint Louis, Missouri. 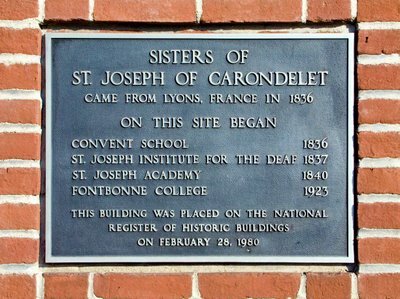 In 1836, at the invitation of Bishop Rosati, the Convent of the Sisters of St. Joseph came to Carondelet. The order had been founded in Le Puy, France, by a Jesuit priest in 1647. The order had been disbanded with the persecution of Catholics that followed the French Revolution, but reformed in 1807. Upon arrival, the nuns quickly set about educating the children of Carondelet. Initally only four sisters were working out of a small log cabin. 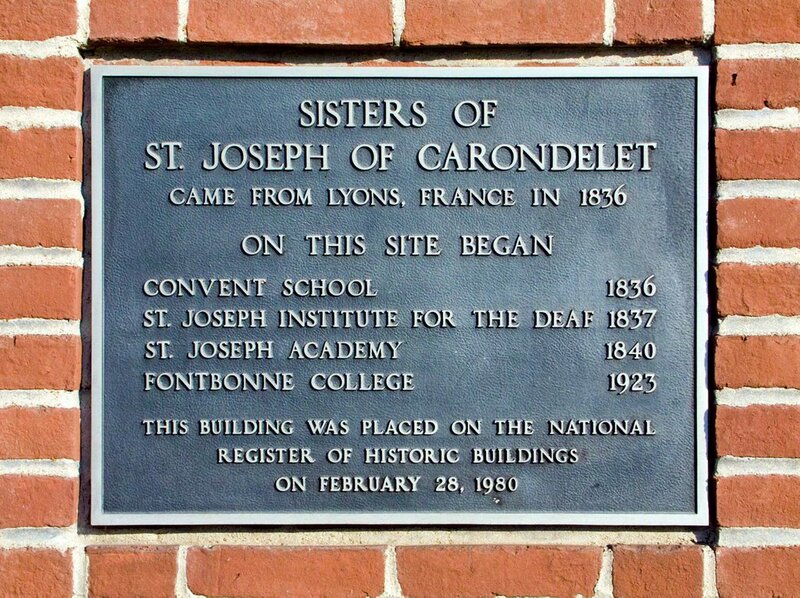 Yet, by September, 1837 with the arrival of two more nuns that had stayed behind in France to learn sign language, they had founded the Saint Joseph Insitute for the Deaf. The order, at one time disbanded, saw its true rebirth in Carondelet, and has since spread all over the United States and to other countries. See also the Carondelet Historical Society. The Motherhouse is built overlooking the Mississippi River atop what were once limestone bluffs, far above possible flooding. 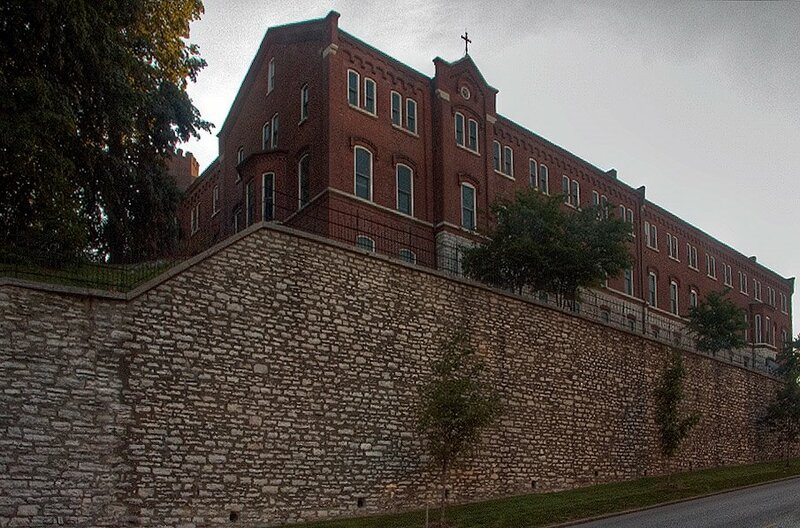 Across the street from the Motherhouse is an equally dramatic site, bounded by high walls, belonging to the Saints Mary and Joseph Chapel. Tours are given the first and third Tuesday of every month. A closer view of the chapel. 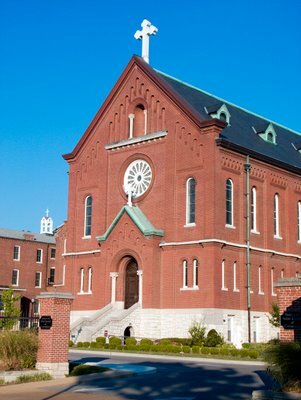 The Sisters of Saint Joseph of Carondelet is the largest religious order in the Archdiocese, which at the time of the 2006 Status Animarum, had 336 members in the area. 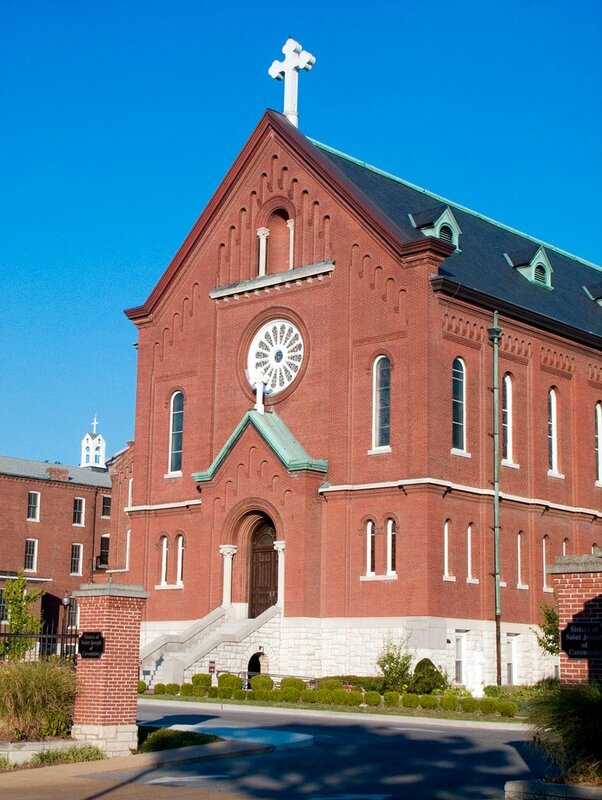 As of December 31, 2005 there were 1711 professed sisters in the community. There were 8 novices and 8 candidates... There were 58 sisters who died and 4 left the community. There were 3 sisters who completed the transfer process from another religious community into the congregation.